TRADITIONALLY, the Brisbane market starts to spring to life after Australia Day. Since that time, I have called upwards of 50 auctions across Brissy and the Gold Coast. The Gold Coast was tipped to roar into the year and my read is it’s been more of a follow the leader start to 2016. The prestige market has really set the pace and is firmly positioned as the real standout performer so far. In Brisbane, it’s a very different story. The Brisbane market is moving at a sensible and sustainable rate. I’ve had nine auctions over the last five days and eight out of the nine sold under the hammer or prior to the auction. The number of the properties that were sold is an outstanding sign in itself but the behind the scene story is that a number of those sales were pleasant surprises, with the volume of bidders and eventual sale prices higher than our expectations leading into the auctions. I called the auction of a grand old Queenslander on a magnificent parcel of land at 14 Kinmond Ave,Wavell Heights last Saturday afternoon. A group of nearly 100 people, 13 of them registered to bid, stood in the grand front yard poised for a bidding battle. The bidders were a mixture of many buying groups. There were young couples, investors and empty-nesters. They bid on the phone, by representative and in person. The mood between the potential buyers was good, the bidding was at time ferocious and the hammer eventually fell at $1.646 million. 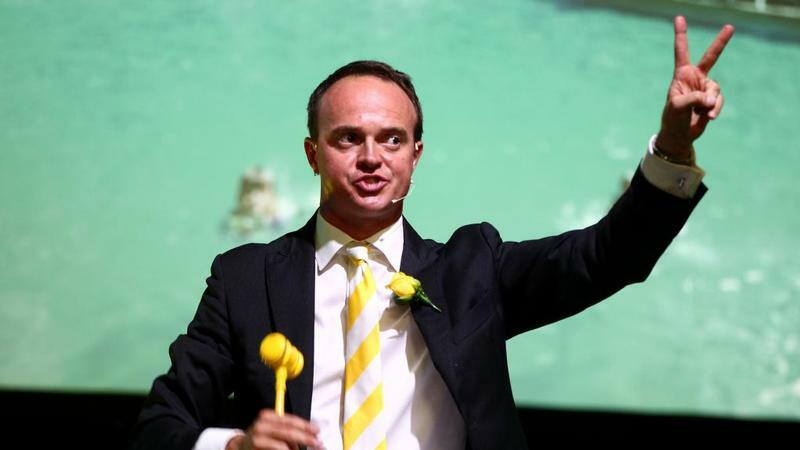 On Thursday night, I stood at the podium for Ray White Wilston and wielded the gavel for five auctions. Again around 100 people gathered on Kedron Brooke Rd as we conducted their alfresco “in-room” auctions. The result was four sales from five auctions so another strong outcome. The selection of my auctions featured homes sell on both sides of the river and prices ranging from the $300,000s to high millions. Last year, the Brisbane market was fuelled from the bottom up. These early signs point to a strong interest building in the mid-to-high price ranges, while the lower end of the market is still continuing to fire. For those real estate enthusiasts watching the market, the next three months is looking good and if it performs to the script, the 2017 story could be our best in ten years.